Some say that there’s no such thing as a free lunch, and that might be true in some cases, but this September in Niagara there are several activities you and your family can take part in that won’t cost you a cent. Saving money while on vacation in Niagara is important to most visitors so the city does its best to provide travelers with numerous free activities to make it easier on the pocketbook. This frees up money that you can spend doing special things that you might not have been able to otherwise. If you’re visiting Niagara this September these are a few of the things you can do that are absolutely free. Taking place nightly through September 5 is the spectacular display of light and sound called Onguiaahra: Thunder of Waters. 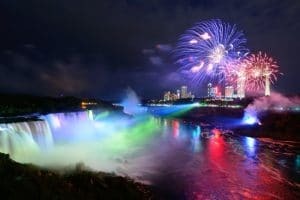 Held in Queen Victoria Park at 8:15, 9:15, and 10:15 each night a projection of color will be added to a special water feature in the park and the history of Niagara will be displayed upon it. This is also an interactive experience as attendees can project their own light onto the water through the power of lasers. This is one of the most inventive and unusual events held in Niagara and, again, it’s absolutely free. In addition, between each light show the park has arranged for various bands to be playing to keep the crowd in a festive mood. 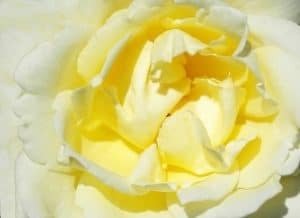 Another of the fun and free things to do in Niagara is a visit to the stunning Niagara Parks Botanical Gardens. Covering 100 acres and featuring numerous species of plants the garden is tranquil and makes for a perfect spot to let your kids explore, have a picnic, or perhaps even a nap under one of their beautiful trees. The gardens are designed and maintained by students of the onsite horticulture school there and you may even spot some of them learning the tricks of their craft. Guided tours are available during the summer months, but sometimes exploring on your own is best way to experience a garden such as this. Not something you’d necessarily expect to see in Niagara but is here nonetheless is the Ten Thousand Buddha Temple. Also called Cham Shan Temple this impressive seven-story structure is first and foremost a working Buddhist temple, but it also houses an interesting collection of Buddhist and Asian art. Whether you’re interested in Buddhism or not, this is a great way to learn more about the practice and guided tours are offered on the weekends from June to October. This means that September is the perfect time to spend a few hours viewing the structure and the artifacts, all for free. A visit to Niagara doesn’t have to be an expensive one and these are just a few of the free activities you can enjoy during September. Be sure to pencil these attractions into your itinerary and start saving money during your trip.